How about this board you guys? It's like a breath of fresh air and I am so ready to wear it all! 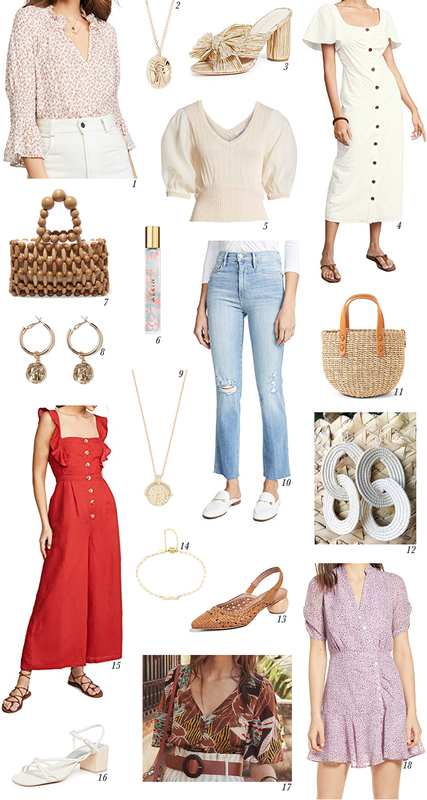 If it wasn't obvious enough, I'm really into feminine details like ruffles and puffy sleeves, as well as neutral tones and pops of gold this Spring. And I am so happy that these kinds of details are everywhere this season which will make it so easy to find and shop them. I seriously want everything on this board and I have a feeling you guys will like the pieces here too. Let me know what your faves are. I already have #12 in the blue colorway and love it! And I'm adding #7 to my cart along with #16. Oh gosh, I'll probably add #5 while I'm at it. If you haven't seen the rest of Chriselle Lim's newest collection, make sure to check it out. The pieces look so wearable and chic like #5. Okay, time to get some shopping done!